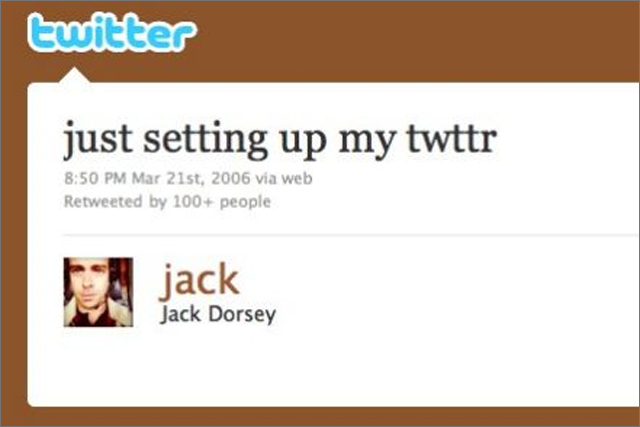 On this day in 2006, Jack Dorsey, Twitter's co-founder and chairman, sent the first official message on the micro-blogging platform. Back then it would have been hard to predict the rise of the 140 character message. On average 140 million tweets are sent each day, amounting to one billion every week. When Dorsey, along with co-founders Biz Stone and Evan Williams launched Twitter in San Francisco in March 2006, it employed only eight staff. Fast forward five years and the company is 400-strong, enjoying "a record pace" of growth and is valued at as much as $3.7bn (£2.4bn). The number of tweets sent per day is up 180% from 50 million a year ago, and the number of individuals using Twitter on mobile are up by 182%. What's more, it claims to sign up new users at a rate of 460,000 a day. Twitter has not put out an official figure for the total number of registered accounts but the figure is believed to be in the region of 200 million. While Twitter serves its users in a whole manner of different ways – as a news aggregator, social network or publicity tool – it has opened up a new and instant way of communicating for all its members. Celebrities and politicians are picking up the platform to speak directly to the public, while in a similar way brands are able to create a two-way conversation with their consumers. In September 2010, the site underwent a major overhaul to give images and videos more prominence and to keep users on the site longer. Around the same time Twitter claimed one in five users follows a brand. Many well known names have made it an intrinsic part of their digital strategy with some, such as Interflora and Uniqlo, running campaigns specifically tailored to Twitter users. Agent Provocateur was one of the earliest brands in the UK to use the channel to market its products in March 2009. Twitter has also provided brands with a new CRM channel and a way of driving sales, the most famous case being Dell, which said it has earned $6.5m (£4m) through its activity on Twitter. As Twitter has grown and evolved, it has started taking those crucial steps towards monetising its platform, albeit with trepidation. Rather than opting for display ads, Twitter launched real-time text ads called Promoted Tweets in the US in April last year. The ads appear as a shaded tweet at the top of users' Twitter streams and are targeted to the profiles of their followers. Initial partners included Red Bull, Starbucks and Virgin America, with the latter claiming it had its fifth highest day of sales in it history on the day its ad appeared. Twitter has since built a Promoted Accounts product for brands, which can now buy a place in users' recommended followers lists. The product is still being trialled to ensure the product is relevant to users. Last year, Twitter ads began to appear in Google's real-time search. This was the first time Google featured ads from another network in its listings, earning Twitter revenue share for its real-time ads. But the deal also set the rumour mill spinning with speculation that Google, which has not yet made a successful foray into social media, might buy Twitter. After it was reported in February this year that the two companies where in "low-level" talks about a possible acquisition, a $10bn valuation figure was bandied about. However Stone has since publicly denied this, claiming the reports were made up. In November 2010 Twitter announced it would launch its ad platform in the UK in 2011. Since then it has been in talks with brands and media agencies, including Sky, Vodafone, LoveFilm, O2, Ladbrokes and Capital One to discuss advertising opportunities. During this period Twitter has been hunting for a London office to serve as its European headquarters and has been tweeting for applicants for its UK-based sales team. While the past five years has seen the popularity of Twitter soar, moving forward will be crucial for the company as it searches for the right ad proposition to drive revenue while keeping user experience at the top of the agenda. Does Facebook resonate with the young more than Twitter?